Every road is an adventure on the Versys! Hard to explain and impossible to categorize, the Versys simply exceeds the sum of its parts. With long-travel suspension & sporty 17” wheels, plus a slim, upright riding position and its low to mid-range focused Parallel-Twin engine, the Versys 650 is a sports partner, city friend and mountain road champion all in one! The Kawasaki Versys 650 is a bike not like any other tourer, it is unique in its kind thereby giving answers to the growing demands of Indian touring brotherhood. In a market like that of India’s, versatility is the key to any motorcycle! It’s ease to take you from one place to the next makes it a suitable and comfortable daily bike. 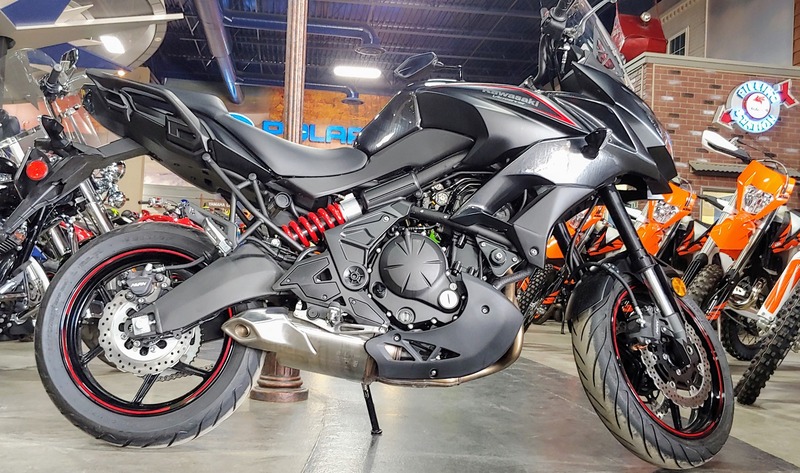 From first sight, the bike looks intimidating but once you swing your legs over and are in motion, the bike feels like any quarter litre bike being just a little taller. The tall, wide handlebars enables great control. The lowered and centered rider foot pegs provide comfort. The seat is well cushioned and suitable for riders of all sizes. The long suspension soaks up those nasty potholes like it's nothing at all. You couldn't ask for a better recipe for long distance riding than what Kawasaki has cooked up with the Versys 650! 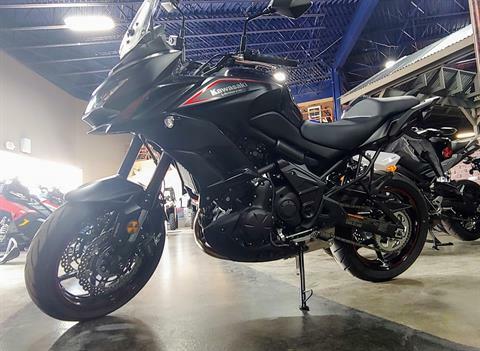 Stop into Full Throttle Motorsports today to experience all the qualities this bad boy has to offer!